Learn the Arabic Alphabet! By Arabella. So You Want to Learn Arabic? How to get started! Learning Arabic: My Journey, Part 1. Shira's blog. Learning Arabic: My Journey, Part 2. Shira's blog. Learning Arabic: My Journey, Part 3. Shira's blog. The Liver in Egyptian Song and Language. Understanding references in song lyrics. Badia Masabni: Fish of the Month. By George Sawa. Review of Pimsleur's Egyptian Arabic Audio CD Set. Review of Habibi You Are My What? Finding Middle Eastern Movies on Home Video. Hind Rostum Interviewed in 2010 by Mahmoud Sa3ad. By Priscilla Adum. She talks about show business and her family. Hind Rostom's Death. 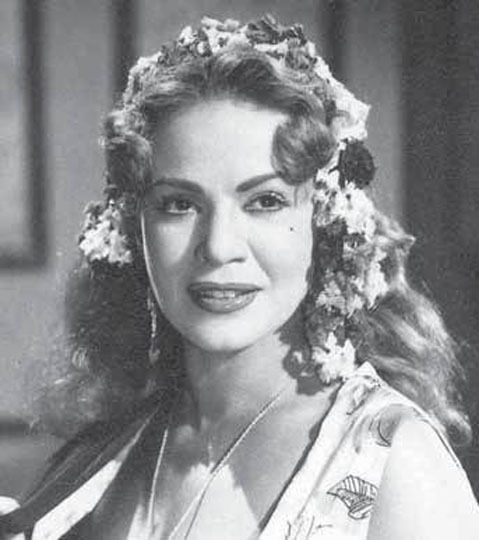 News story about Hind Rostom's death in August 2011. Translated by Priscilla Adum. Kamal al-Shennawi's Death. Translated by Priscilla Adum. The First Egyptian "Talky". By Priscilla Adum. 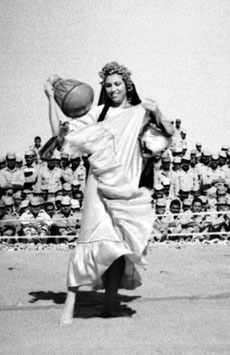 Aziza Amer: Producer of the First Egyptian Feature-Length Film. Translated by Priscilla Adum. Placed online October 14, 2018. 1936 Newspaper Ad for Khafir el-Darak. Translated by Priscilla Adum. Placed online January 31, 2019. 1936 Flyer Promoting Badia Masabni's Movie, Malikat al-Masareh (Queen of Theaters). By Priscilla Adum. 1940 Newspaper Story About the Gala Opening of Cinema Opera. Translated by Priscilla Adum. Placed online December 16, 2018. Rushdy Abaza: The Don Juan of Egyptian Cinema. Translated by Priscilla Adum. Placed online January 3, 2018. The Comic and the Villain: Ismail Yassin and Mahmoud el Meligy. By Priscilla Adum. Placed online February 28, 2019. Selling Dates During Ramadan. By Priscilla Adum. Includes both English and Spanish. Interview with Tahia Carioca & Samia Gamal. A transcript. An Egyptian Scarecrow. Photo and background information about scarecrows in Egypt. The Sebou: Welcoming a Baby into the Family. Description of an old Egyptian tradition. Death of a Criminal. Newpaper story about an outlaw in Upper Egypt who was notorious around 1905. Lady Liberty - What's in a Face? By Dahni. 1921 Permit to Open a Brothel in Upper Egypt. Placed online September 15, 2018. Samia Reminisces About the Ramadan Iftar She Held for Hollywood Friends. Placed online October 14, 2018. Google Doodles Honoring Egyptian Cultural Icons. These links will take you to posts in my travel blog about Egypt, which is on a different web site at www.roaming-jewel.com. Fellaha: The Peasant Woman in Egyptian Art. Where to Celebrate the Musical Legacy of Oum Kalthoum in Cairo, Egypt. Tannoura: The Whirling Dervishes of Egypt. The Tarboosh Maker in Cairo, Egypt. Mazaher Ensemble: The Zar Musicians. Rango Band at El Dammah Theater. The Wedding Scene at Cairo's Agricultural Museum. Musicians, camels, the bride, and more! African Sunrises and Sunsets (Egypt, Morocco, and Senegal). The Street of Tentmakers in Cairo. A historic street whose artisans keep the traditional textile art alive. Placed online November 3, 2018. Beverages to Enjoy in Egypt. Herbal teas, fruit juices, and more. Placed online December 23, 2018. These links will take you to posts in my travel blog about Morocco, which is on a different web site at www.roaming-jewel.com. 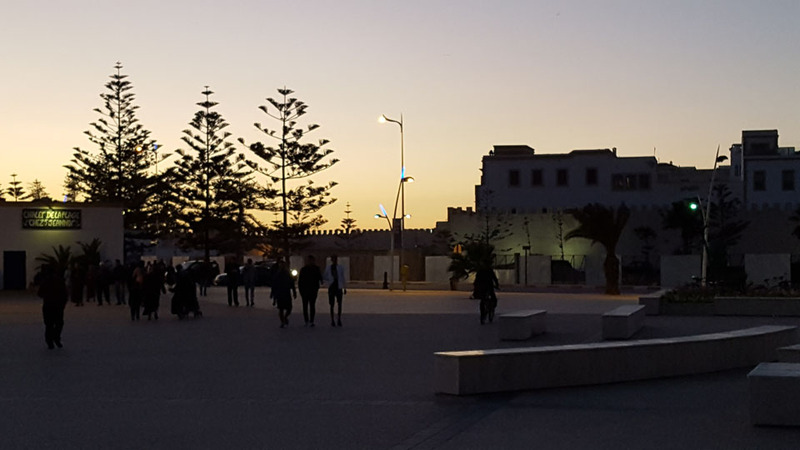 Essaouira, Morocco: A Day Trip from Marrakech. On my roaming-jewel.com travel blog. Placed online October 17, 2018. Goats in Trees: A Tale of Argan Oil in Morocco. On my roaming-jewel.com travel blog. Recipe for Awaymet (Lebanese Fritters). By Priscilla Adum. What Is a Saj? By Priscilla Adum. Includes both English and Spanish. 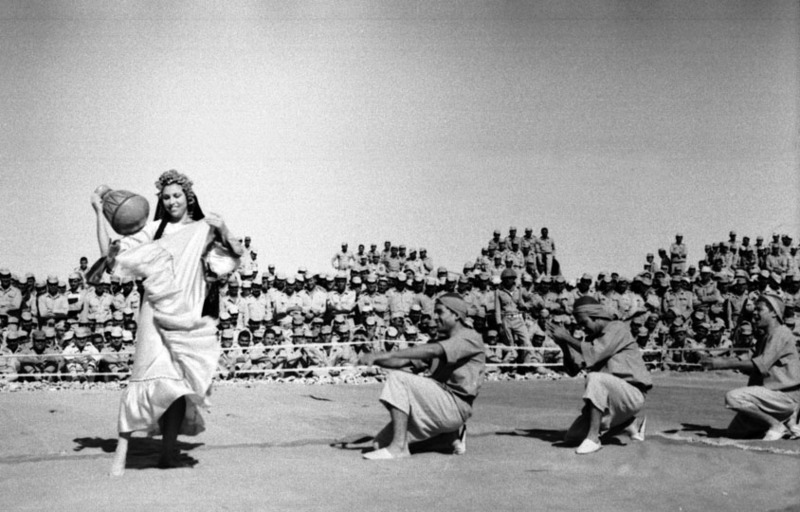 Misirlou Folk Dance: Folklore or Fakelore?. By Panayiota Bakis Mohieddin. Romani, Domari, and Lom People: What Belly Dancers Who Want to do 'Gypsy' Dance Need to Know. By Kristin Raeesi. Romany ("Gypsy") Discussion Bingo. The misguided stereotypes, erasure of very real people with very real histories, fake claims to being one of them, and just plain fantasy that Romany, Domari, and Lom people deal with every day. Placed online February 20, 2019. There are nearly 300 items (articles, song translations, etc.) on this web site related to Middle Eastern music. Click here to access the Index to Music Articles. Scenes From Turkey: The Real Turkish "Belly" Dance. Photos of the Turkish folk dance named "göbek dansı", or "belly dance". 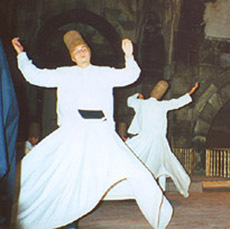 Scenes From Turkey: Whirling Dervishes. Information about Turkish whirling dervishes of the Mevlâna order and photos. The Ottoman Empire in the 17th Century. Learn a little about the culture of Turkey's Ottoman empire during the 17th century. Ancient Egyptian Art: An Introduction. Familiarize yourself with some of the well-known scenes from the tombs of ancient Egypt. Learn how to interpret what they are portraying. Goddesses Of Ancient Egypt. Several of the goddesses that were well-known to ancient Egypt, including two associated with dancing, Hathor and Bastet. Two-Dimensional Ancient Egyptian Art. View Pharaonic art work from the perspective of an art historian. On My Travel Blog at "Roaming Jewel"
The Mystery of the Ostrich Egg at Aswan, Egypt. Are the pyramids much older than most archaeologists think? Link will take you to my travel blog at roaming-jewel.com. Dance Like an Egyptian! Temple art in Edfu, Egypt showing sacred dance. Link will take you to my travel blog at roaming-jewel.com. Exploring Nilometers in Egypt. Link will take you to my travel blog at roaming-jewel.com. Images of Birds in the Tombs at Saqqara, Egypt. Photos I took inside tombs that feature beautiful 4,000-year-old scenes of birds on their walls. On my travel blog web site. Placed online October 4, 2018. The Pyramids of Deir el-Medina (Workers' Village). Fascinating archaeological site near the Valley of the Kings. Placed online October 25, 2018. Honoring Motherhood in Ancient Egypt. Scenes on temple walls along the Nile cruise route. Placed online January 6, 2019. The Three Musicians and the Cat. Exploring the tomb of Nakht near Luxor. Placed online January 28, 2019.